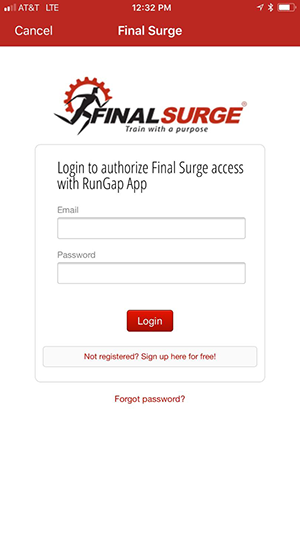 Final Surge now has integration with the iOS RunGap app, allowing users to sync their workout data from their Apple Watch directly to Final Surge. 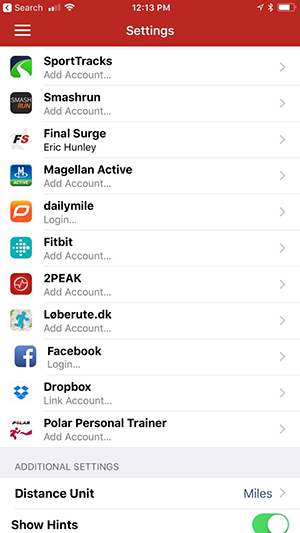 In addition to Apple Watch workouts, RunGap connects with over 20 popular services such as Nike+, Runtastic, RunKeeper and more. In order to share RunGap data to Final Surge, you must have the RunGap Swag Bag subscription. The data sync originates from inside the RunGap app. You can upload a single activity directly to Final Surge by opening it from the “Activities” list, tapping the “…” button in the upper right corner and choosing “Share.” This will bring up a page where you can choose to share the activity to one or more of the most popular services including Final Surge along with an optional message. The activity will then be uploaded to Final Surge, and you will hear a “swoosh” sound when the upload is complete. Please note that sharing the same workout more than once may create duplicate workouts on Final Surge. Similarly, you can upload all your activities directly to Final Surge by choosing “Share & Export” from the upper left menu and then “Final Surge.” RunGap will then upload all activities not previously uploaded to Final Surge. This may take a while the very first time, but RunGap will automatically skip previously uploaded activities which have not been modified, and therefore subsequent exports will complete much faster. To disconnect your Final Surge account, select “Accounts & Settings” from the upper left menu and then “Final Surge.” Next, choose “Log out” to disconnect the account.